Please note: Not all products are in-stock and may require to be ordered. Please call store for inventory details. Provides a relaxing pleasantly scented environment that leaves the skin soft. Allow you to enjoy you spa water immediately. Formula prevents pH drift of spa water. Is compatible with all types of sanitizers. WARNING: to avoid incompatibilities with other products, the skimmer must be totally free of other spa chemical. 1. For initial treatment, add 150 g of SKINSILK per 1,000 L of spa water. 2. Add directly into skimmer or sprinkle lightly into spa water with pump running. 3. For weekly maintenance: to maintain proper levels ad 40 g of SKINSILK per 1,000 L of spa water. 4. After application, check water’s pH and adjust to 7.2 – 7.8 if necessary. SPA SKINSILK will improve water quality and efficiency when used as part of a regular maintenance plan. Use on initial fill of spa. Use weekly for regular maintenance to refresh pleasing scent and improve bathing comfort. Do not mix with any other chemical! Carefully read and follow all label directions before use. Keep container closed and store in a cool location. Destroys existing foam in spa water and prevents future accumulations. Formula is designed to be used in ventilated and heated water with quick results. Allows you to enjoy you spa water immediately. Does not alter pH and is compatible with all types of sanitizer. Does not make water cloudy. NOTE: This treatment can be used as often as needed to stop foam. 1. Shake well before using. 2. Add 60 mL of FOAM OUT per 1,000 L of spa water. 3. Wait for about 10 minutes and repeat treatment if foam has not disappeared. 4. Use one a week for regular maintenance. Can be used as often as needed to stop foam. Use weekly for regular maintenance to prevent foam. Eliminates the presence of sanitizer from spa water. Makes spa water safe to drain and safe for lawns. Can be used to lower sanitizer levels in spa water exceeding 5 ppm. RECOMMENDATION: Do not exceed dosage. Use in small increments and test water between additions of this product. 1. Test the sanitizer level. 2. Add 30 mL of TERMINATOR per 1,000 L of spa water to decrease the sanitizer level by 1 ppm. 3. Wait 15 minutes and retest the sanitizer level. 4. Add TERMINATOR to completely eliminate the sanitizer from the water using 30 mL per 1,000 L of spa water for each 1 ppm of sanitizer. No down time. In case of sanitizer overdose, TERMINATOR can also be used to decrease the sanitizer level in your spa. To maintain proper levels between 3 and 5 ppm, use TERMINATOR. Use in case of sanitizer overdose to return sanitizer levels between 3 to 5 ppm. Use just prior to draining of spa. NOTE: Wait for water to reach 21oC before beginning the treatment. The shock treatment neutralizes the enzymes. Allow chemical levels to return to normal before adding ENZYMES, i.e. 1 to 3 ppm of free chlorine. Use clean and well-balanced water. 1. Normal Spa usage: add 75 mL of ENZYMES per 1,000 L of pool water once a week, adding the product into the skimmer. 2. 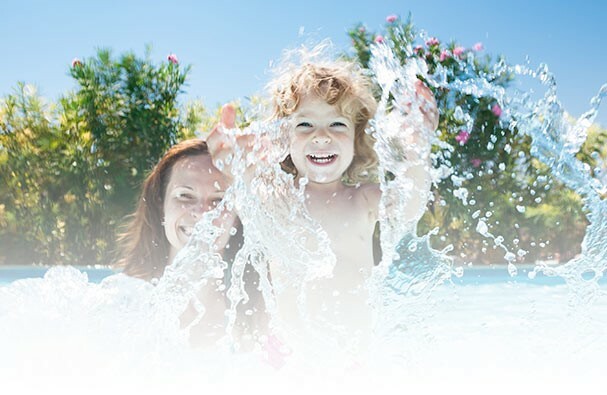 Heavy Spa usage: add 150 mL of ENZYMES per 1,000 L of pool water once a week adding the product into the skimmer. This product is safe and may be added even while the pool is in use. Prevents corrosion of the spa equipment. Does not add phosphates to the water. An organic polymer that helps remove oil and soap film. Coagulates and flocks all suspended undissolved solids and particles and then allows them to be trapped by the cartridge filter. Does not alter pH and is compatible with all types of sanitizers. 1. For cloudy water pour 30 mL of CLARIFIER per 1,000 L of spa water. 2. Turn off air jets, add required dosage of CLARIFIER directly into spa water. 3. Turn on filter system until water is bright and clear. 4. Your spa can be used immediately after treatment. 5. Once a week, for maintenance purposes add 30 mL of CLARIFIER per 1,000L of spa water. SPA CLEAR will improve water quality and filter efficiency when used as part of a regular maintenance plan. Use weekly for regular maintenance to prevent cloudy water.